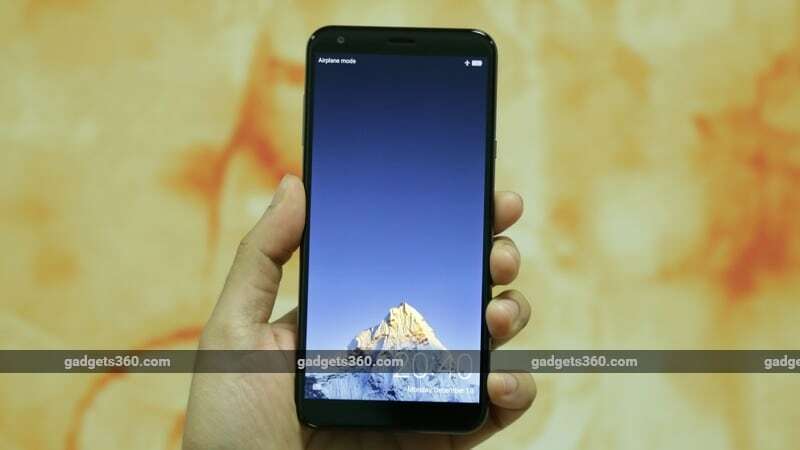 InFocus Vision 3 was launched in India on Tuesday, at an event in New Delhi. The company's latest dual camera smartphone, the Vision 3 also sports a large 5.7-inch 18:9 HD+ display, as well as a massive 4000mAh battery - all selling points that InFocus is betting on when combined for the Indian market with the low price point in the sub Rs. 7,000 segment. The 4G VoLTE-enabled smartphone will go on sale exclusively via Amazon India. The company is touting the Vision 3's Dualfie feature, similar to Nokia's Bothie feature, as well as a background blur for the front camera. The new InFocus smartphone also has a 1-key shortcut option for select apps, and says face recognition tech will be added the smartphone sometime in January. The InFocus Vision 3 price in India has been set at Rs. 6,999, and it will go on sale exclusively via Amazon.in from 12am (midnight) IST on Wednesday, December 20. The smartphone is only available in a single variant - 2GB RAM, 16GB inbuilt storage. The dual-SIM (Nano) InFocus Vision 3 runs Android 7.0 Nougat with the company's Smile UX skin atop. An Oreo update would be released in mid-2018, Florent Meng, Global Brand and Marketing Director, InFocus and Sharp Mobile, confirmed to Gadgets 360. It sports a 5.7-inch HD+ (720x1440 pixels) IPS ONCELL display with an 18:9 aspect ratio and 2.5D curved glass. It is powered by a MediaTek MTK6737H quad-core SoC clocked at 1.3GHz, coupled with 2GB of RAM. The InFocus Vision 3's dual rear camera setup bears a 13-megapixel primary camera, coupled with a 5-megapixel camera with 120-degree wide-angle lens. It sports an 8-megapixel front camera. The smartphone offers 16GB of inbuilt storage, expandable via microSD card (up to 64GB). Connectivity options include 4G VoLTE, Wi-Fi, Bluetooth, Micro-USB, and a 3.5mm headphone jack.